Glenfinnan Kilt Pin is an ancient style of brooch with a primitive but effective method of fastening, as used by the Picts , Norse and Celts. The pin is attached to the brooch by a little bridge at the blunt end which allows it to swivel round the narrow part of the brooch. 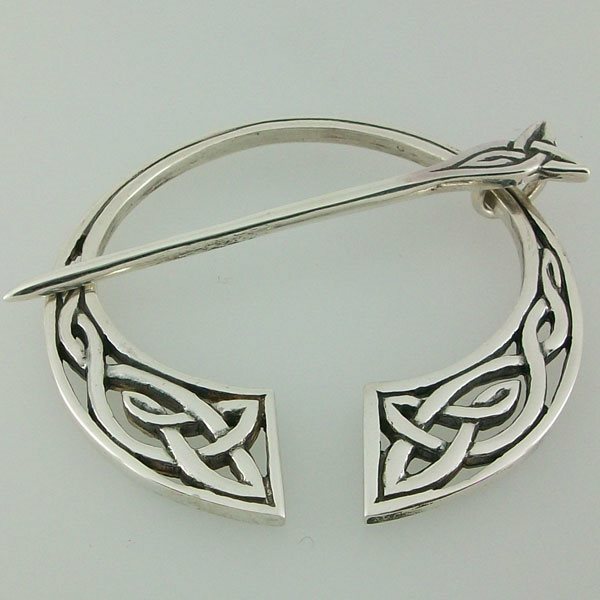 The point of the pin, having passed through the fabric twice, is brought through the gap and the brooch is turned 90۫.